excellent martial artist and dead shot with a crossbow. Worked with Black Canary (and got her into scads of trouble) shortly after Dinah's breakup with Oliver and encouraged her in a highly questionable (and thankfully brief) costume change (which is also now out of continuity). This may be why both of them acted as if they'd never met when they ended up pursuing the same supervillain (Braun) for entirely personal reasons during an early Birds of Prey case. 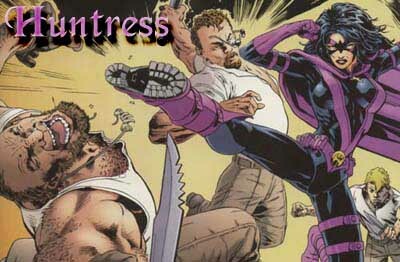 Due to her long and rocky association with the Gotham home team, she has often worked (though usually indirectly) with Oracle and came close to getting herself shot by the former Batgirl when she presumed to take on the identity for herself..